V. Press is very very delighted to mark the festive season with this beautiful poem from our Cultural Intern Kibriya Merhrban. This year is the fifth anniversary (yes, in Roman numerals, the vth birthday!) 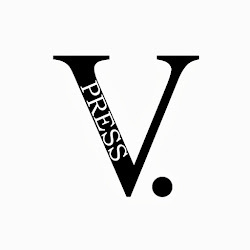 of V. Press's first publication and launch at Ledbury Poetry Festival in 2013! To celebrate the 'holiday season', end of 2018 and start of 2019, we've two very very special offers - running for a month (until January 14, 2019. WISHING ALL OUR READERS AND AUTHORS A VERY VERY FESTIVE SEASONAL PERIOD AND A HAPPY NEW YEAR!!! * Normally, there should be an 'instructions to merchant' section on Paypal where you can list your choices. If you don't get this, please email them over at the time of order to vpresspoetry@hotmail.com.